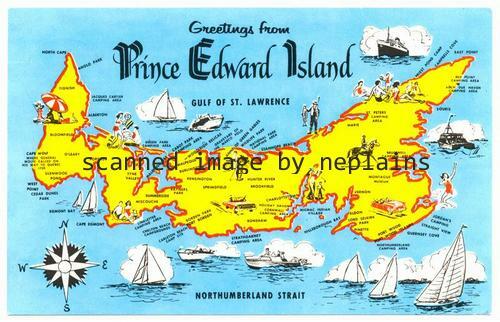 Greetings from Prince Edward Island ... miniature map ... showing most of the Camping and Picnic areas and places of importance. Chrome postcard. Plastichrome by Colourpicture. Island Wholesale. Posted 1977 from Green Gables.